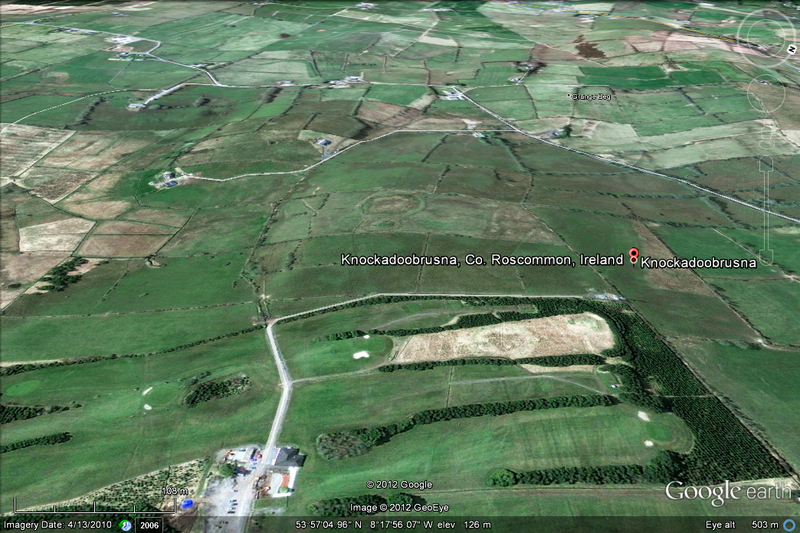 Mythical Ireland blog: Where has this Roscommon Bronze Age landscape gone? Thank you very much. That's just what I need. A golf product placement in reply to this blog post. I am, of course, deleting your post. But the irony is incredible all the same. Humans repeating history. 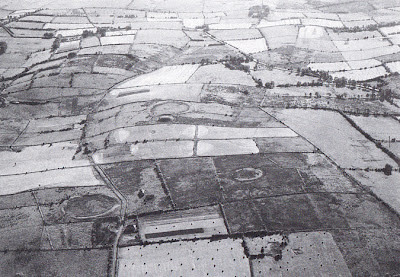 To create the Bronze Age landscape the incomers accelerated the pulling down and clearing of middle to higher level forests of pine, birch, rowan, alder, willow, some ash at lower levels, even oak and elm, to establish their farming culture, while pushing the hunter gathering species more towards the coastline. This actually started in the latter stone age but the bronze agers accelerated it and accelerated the creation and use of weapons too. The new farmland became less and less fertile, minerals fixed by the former forests leached away and acidity came into the soil. 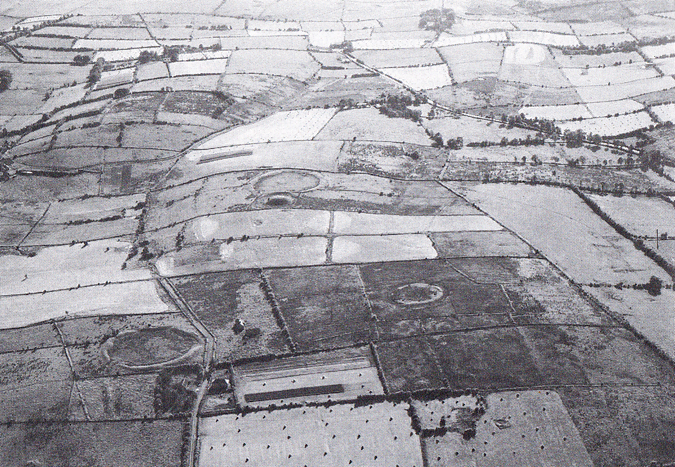 Yields reduced and the druids, like today's politicians, came along with promises of fixing it with various tricks, including enslaving people to build these ancient sites that we swoon over, until they were too entombed and the temple cairns became tombs. Then the surrounding land became blanket bog. 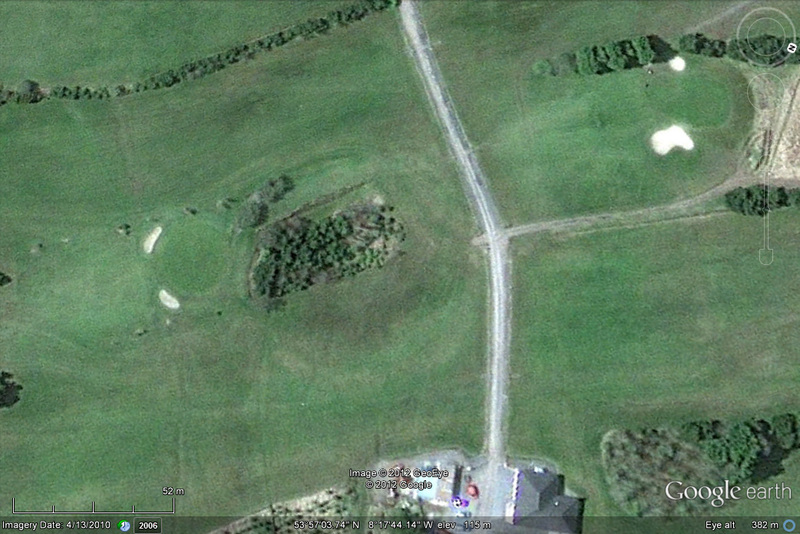 Yes, a golf course is a pain. What I would personally prefer is a replanting of the native trees that were once there before humans meddled, before the bronze agers meddled. That's an interesting perspective John. You might be interested in my thoughts about the Bronze Age in the new Newgrange book. I agree, in part, with your sentiments. Some native trees would be good. There's a lot of spruce forests in this country. Don't think that's native, is it?? Indeed I would never ever include spruce in my suggestions for reforesting, as they cause a similar acidity problem that the earliest farmers triggered into motion. Where the blanket bogs are now, I would only suggest the trees I listed in my response as these are the trees that have shown presence in ancient samples. Forestry in Ireland at this present time is ridiculous. 10% coverage, and 90% of this coverage is spruce. Native trees are only 1% of the entire woodlands of Ireland. Some say this was due to heavy English colonialism, but even when they came to Ireland here was covered in blanket bog. Bog that seems to have been caused by the effects of naive farming after forestry clearances by the old stone age and bronze age. Its an awful challenge, though, as these new stone age and bronze age people seem to be of cereal diet and depended on farming to exist. The last thing they would do is replenish forests they cut down, I feel, as they would have probably believed that to be a pathway to starvation. Unfortunately they were probably not aware that their farming methods were probably a way to starvation too eventually. Of course, their druids, or whatever they were called, seem to have been like our politicians and convinced the people of magical ways to resolve. Maybe one way was with a form of orgone generator, for example, but eventually there ways seem to have been overcome. Nature won.